In 1921, four men ventured into the Arctic for a top-secret expedition: an attempt to claim uninhabited Wrangel Island in northern Siberia for Great Britain. 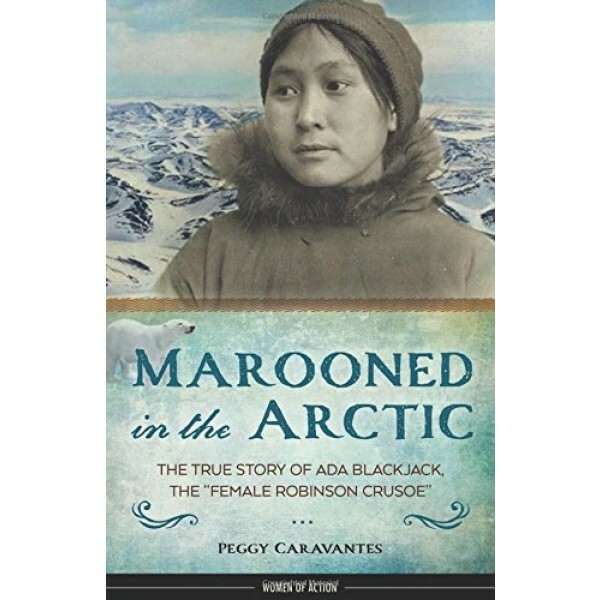 With the men was a young Inuit woman named Ada Blackjack, who had signed on as cook and seamstress to earn money to care for her sick son. Conditions soon turned dire for the team; three of the men tried to cross the frozen Chukchi Sea for help but were never seen again, leaving Ada with one remaining team member who soon died of scurvy. Determined to be reunited with her son, Ada learned to survive alone in the icy world by trapping foxes, catching seals, and avoiding polar bears. After she was finally rescued in August 1923, after two years total on the island, Ada became a celebrity, with newspapers calling her a real "female Robinson Crusoe." 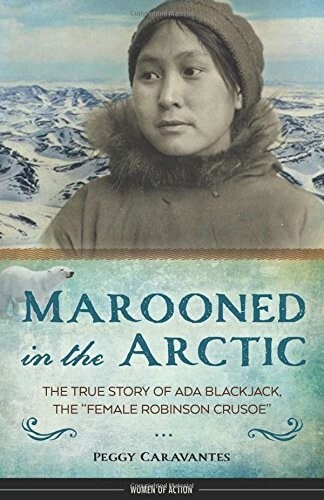 Marooned in the Arctic includes sidebars on relevant topics, including the use cats on ships, the phenomenon known as Arctic hysteria, and aspects of Inuit culture and beliefs. With excerpts from diaries, letters, and telegrams; historic photos; a map; source notes; and a bibliography, this is an indispensable resource for any young adventure lover, classroom, or library.